If you are not in the best of your health, then you certainly have to miss out on the discounts that insurance companies give out on insurance premiums. Insurance companies reward the healthy with lower insurance premiums and loyalty benefit programmes. This may not yet be true for health covers but life insurance companies are giving out term covers at cheaper rates. As the health insurance market evolves, we expect to see lower health insurance rates for people with better health indicators even though they may be of the same age. It is very well known that non-smokers and women are charged lower premiums on most life insurance policies. A host of other factors besides smoking play a major role in determining the premium. 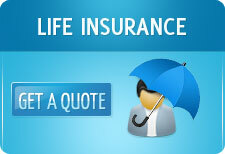 The health of the person to be insured plays a critical role in underwriting the life. If a person has hypertension, diabetes or is obese, his/her premium will be higher as the risk to the company is higher as compared to a healthy person. A 40 year old person suffering from diabetes may have to shell out double the amount for premium as compared to a healthy person. Adverse medical conditions are rated according to the severity and combination of conditions. If you fall into the category of high net worth individuals (HNIs) things get much better. Besides offering discounts to non-smokers and women, some insurers like ICICI Prudential Life, Birla Sun Life, SBI Life and Kotak Life offer a special category of term policies, primarily aimed at affluent individuals. Given their lifestyles, insurance companies presume that they are less prone to diseases and have lower mortality rates as they take better care of their health & have easy access to good healthcare which further ensures that they are hale and hearty most of the time. Even within this category there can be smokers, non-smokers and preferred non-smokers. A preferred non-smoker is the one who does not suffer from any ailments at the time of buying the policy in addition to abstaining from tobacco. Max New York Life has introduced three different underwriting categories based on lifestyle. Discounts could be as much as 36% . When it comes to conducting medical tests like ECG, some insurance companies also offer home visits to avoid any inconvenience caused to the HNI policy holders. The policies which can be bought only after stringent tests are primarily targeted at well heeled individuals but the cover is certainly not available at throwaway prices. The underwriting process that the proposer has to go through is also very stringent. The tests could include blood profile, ECG, microscopic urinalysis (MSU) and urine cotinine test (for non-smokers) depending upon the insurance seekers’ age and life cover chosen. As compared to unit-linked insurance plans (ULIPs), money-back policies, endowment schemes etc Term Plans definitely qualify as the best option. While they do not promise any returns after the completion of the term but they fulfill the basic purpose of obtaining a life insurance policy which is replacing the insured’s income to ensure that the dependents are financially secure even in the absence of the breadwinner. There are also online insurance premiums comparison sites that can guide you with proper information.